If you're like one of the 25 other people who enjoyed my first novel, Like Mind. Then you probably won't be annoyed while reading the sequel, Like Mind 2 (clever title, I know). I've been posting the chapters of the sequel to my Patreon page, and I'm all the way up to the second chapter (so it's not too late to get all caught up). Why did you decide to release this story as a serial? Aren't I supposed to be the one responding here? No problem. Where was I? Right. I decided to release this story as a serial for a couple reasons. First is that I needed the next project for my Patreon audience. I'm nearly done with the series of short stories inspired by logical fallacies (the collection will be coming out later this year). Second, Like Mind reads a lot like a serial already. It has short, punchy chapters that often end in cliffhangers -- not unlike the traditional serials of old. You mean like Dickens' David Copperfield? Um... sort of. I was more thinking about the later serials, but if you were on the edge of your seat in suspense reading Dickens then I guess it applies. So... what's with the title? It's not quite done yet (neither is the cover). 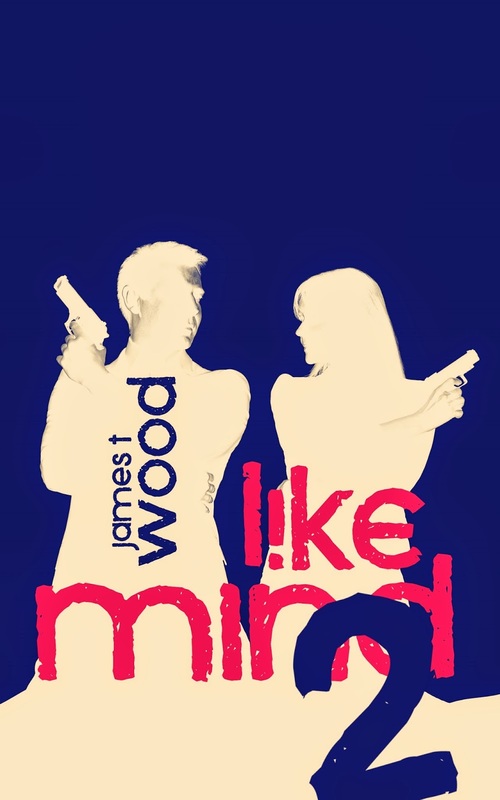 So in the meantime I'm just using Like Mind 2 and the doctored cover from the first book as placeholders until I get the new title figured out. So what's happening with Corey and Anka in the sequel? Well, it takes place about a year after the events of the first book. Corey has been working (begrudgingly) for the NSA at a location in Seattle, but Anka was transferred to Helena, Montana. But weren't they hooking up at the end of the first book? Yes they were. At the opening of the second book they're trying to figure out how to be in a long-distance relationship while they both work for the NSA. Any more complicated than any relationship? Hey, aren't you supposed to be asking me the questions? Just a shameless (okay I have a little bit of shame, but I'm going to do it anyway) plug for my Patreon page. This thing has really transformed the way that I'm able to create since it provides a consistent income from my work instead of me having to deal with all the ups and downs of selling books the old way. My patrons are awesome, thoughtful, generous people who help me to keep getting better at writing and telling compelling stories. Because of their high-level awesomeness I'm going to give them the first crack at reading Like Mind 2. Well, I'm going to put up the first five chapters of the story for everyone to read, but after that only patrons will be able to see the rest until the whole story is out and published. Patrons can pledge as little as a dollar per chapter (I release one a week, usually on Thursdays). Thanks for interviewing me. I had a lot of fun. *I am playing the parts of both the interviewer and the interviewee. Plus other parts as they come to mind.